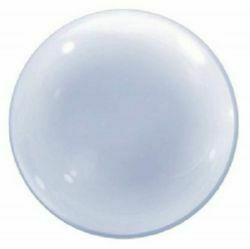 38cm bubble balloons which came as a pack of 4. Designed for balloon professionals and made of stretchy plastic and include self sealing valves. Bubbles are non allergenic, non oxidising and long lasting. Float with helium and use a latex balloon regulator. Not suitable to be inflated by mouth.